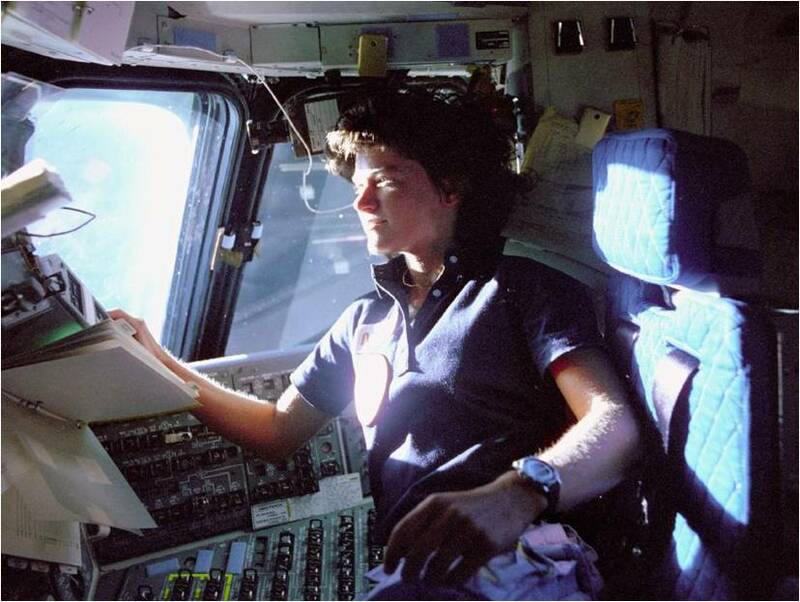 The International Space Station Program Science Office would like to dedicate this entry of A Lab Aloft to the life and work of astronaut Sally Ride, who passed away July 23, 2012. In today’s A Lab Aloft, guest blogger Cindy Evans remembers working alongside Sally and the inspirational legacy she leaves behind. I was just thinking about Sally Ride last week, while my family and I were on vacation in Russia. One afternoon we decided to visit the spectacular Monument to the Conquerors of Space in Moscow. The impressive park that surrounds a soaring rocket features statues of some of the Russian spaceflight pioneers, such as Valentina Tereshkova, the first woman in space. Reflecting on Valentina’s face quickly led to a family discussion of American space pioneers, including the first U.S. woman in space: Sally Ride. Of course, Sally is remembered for lots of things in addition to her first spaceflight mission. She was also a scientist and a champion of teachers, students and parents around the world because of her passion for education. 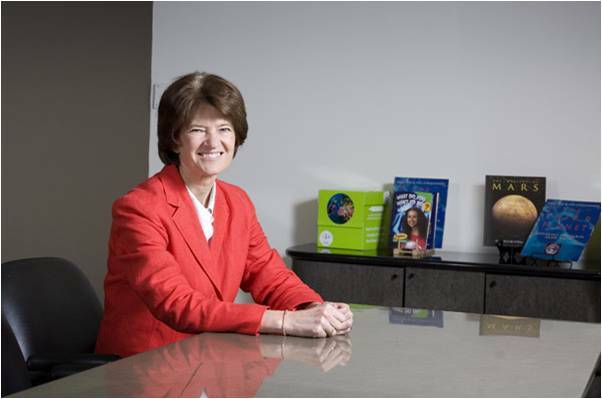 It was this love of learning and the desire to share it with others that led to me getting to know Sally. I met Sally in 1995 when she invited me to be part of her team to plan her space shuttle educational payload: KidSat. This was the pilot program for what would evolve into today’s EarthKAM, one of the most prolific education investigations on the International Space Station. Sally’s concept for KidSat was simple: put an Earth-viewing camera on the space shuttle and let middle school kids take photos. Their target could be their own town, a place they are studying in history class, the Amazon rainforest, or the location of an event in the daily news. 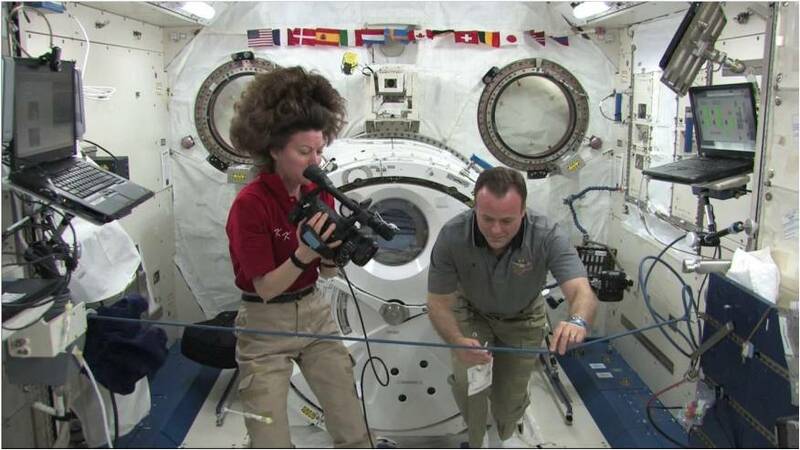 By letting kids control a camera from space, Sally knew they would be inspired as they learned. Teachers used KidSat as a launching point to cover lessons on a wide variety of topics. They highlighted the basics of spaceflight, including gravity and orbits. Students applied KidSat to math and science, too. They learned the importance of precise calculations to make sure they could capture their targets. In viewing the final images, students covered Earth science and geography and honed their communications skills by describing their observations in writing. As a team-oriented task, KidSat reinforced the importance of working together to achieve greater successes. When I was working with Sally in the mid-1990s, we were simply trying to see if KidSat could work. The first mission in 1996 was tested by teachers and students from only three middle schools: a rural school in Humbolt, Calif.; an inner-city school in San Diego, Calif.; and a magnet academy in Charleston, S.C. The small educational team included teachers from these schools and a few more. Sally assembled a diverse team for KidSat, including education specialists from NASA’s education program, flight controllers from NASA’s Johnson Space Center mission operations, college students at the University of California, San Diego, database experts from NASA’s Jet Propulsion Lab, and a couple of interdisciplinary Earth scientists like myself to guide the science curriculum development with the small cadre of middle school teachers. Every step of the way, Sally leaned on those teachers to make KidSat work. The teachers wrote the classroom activities and provided feedback on the spaceflight stuff (orbital dynamics for 6th graders—really?). They thought through the implications of conducting a mission in the classroom during the middle of the school year, which would include four days straight and midnight operations! The team also forecasted potential failure scenarios from a classroom perspective, such as: What if my dyslexic students transpose numbers? What if we can’t get Internet? What if it is cloudy? This truly collaborative and interdisciplinary partnership that provided opportunities for KidSat continues today with space station’s EarthKAM. The inspiration and lessons spill over from science classes into other areas, such as art, math, English, and even gym! Of course, both of Sally Ride’s Earth observation investigations were remarkably successful. 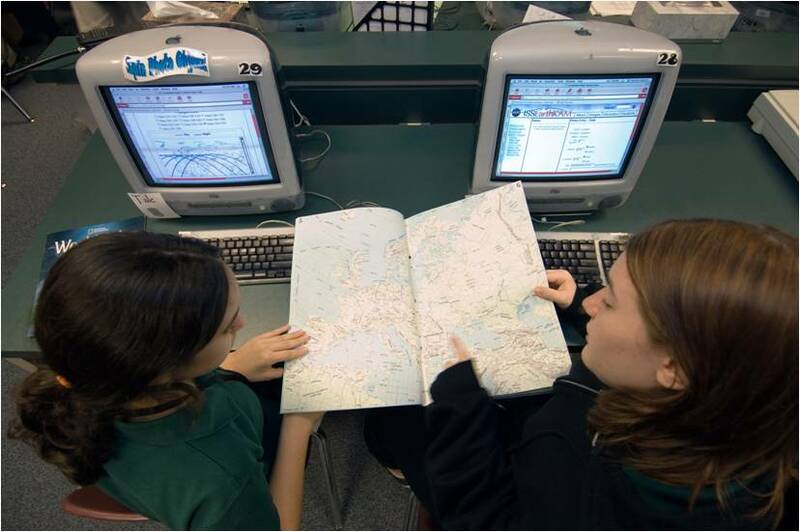 KidSat grew during the first 3 flights of the program from 3 to 17 to 52 schools! Hundreds of schools have participated since that time, involving tens of thousands of students. Today, EarthKAM continues to inspire where KidSat left off. Pulling in thousands of participants with each operational opportunity, EarthKAM has reached more than 190,000 students to date. My reflection about Sally leads to the core of what she inspired and championed—innovative learning for middle school kids, and a celebration of our natural curiosity about Earth and the Solar System. Through her legacy, she will continue to inspire for generations to come and I am honored to have been part of her team. Cynthia Evans, Ph.D., is Associate International Space Station Program Scientist for Earth Observations and Deputy Manager for Astromaterials Acquisition and Curation Office. 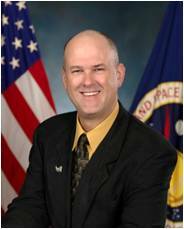 Evans holds degrees in Earth Science and Geology, and has been active in Earth Observations from the space shuttle, the NASA-Mir Program and the space station. She has participated as a science team member in several Desert RATS analog missions, and manages the GeoLab workstation—a glovebox-based test article integrated into the Deep Space Habitat testbed. As a volunteer, Evans also taught several EarthKAM classes at local middle schools. In today’s A Lab Aloft, guest blogger Emily White, with the Center for the Advancement of Science in Space, or CASIS, shares her experience at the First Annual International Space Station Research and Development Conference. The major theme of the June conference was the “Decade of Utilization.” On the first day of the conference, NASA Chief Scientist Waleed Abdalati commented that the “station empowers us to understand our world.” CASIS, as the nongovernment nonprofit organization that manages the space station’s U.S. National Laboratory, facilitates use of the National Lab for improving life on Earth. 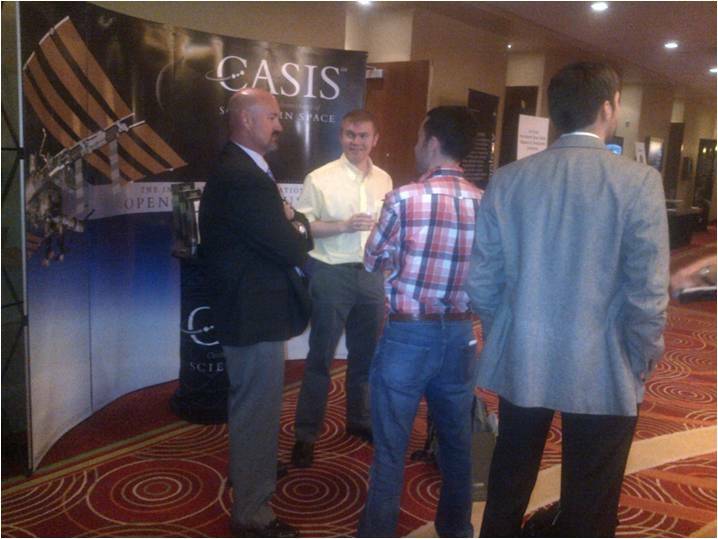 By collaborating with AAS and NASA on this conference—the only annual gathering that showcases the full breadth of research and development aboard the station—the CASIS team was able to share this goal with nearly 400 attendees representing scientists and organizations from a variety of fields, including many investigators new to space. On day two, CASIS Interim Executive Director Jim Royston moderated a panel focusing on upcoming research opportunities on the station’s National Lab. Deepak Agrawal, our Director of Science and Technology, represented CASIS; Larry DeLucas, from the University of Alabama at Birmingham, discussed crystallization research; and Jeff Manber of NanoRacks discussed his company’s research platforms. These talks paralleled the current and near-term activities of CASIS. In fact, CASIS released our first Request for Proposals, or RFP, in the field of protein crystallography on the first day of the conference. An RFP in materials science, in collaboration with NanoRacks, will be released in the coming months. As mentioned above, many new-to-space investigators attended the conference—an exciting success for the space science community that has long sought to attract new players to the space station. Those of us from CASIS were especially encouraged, since one of our major goals is to make space science accessible to a broader community. Toward this goal, the final day of the conference was aimed specifically at new users. In the morning, CASIS Director of Operations Duane Ratliff moderated a workshop for new investigators on space station utilization. Expectations were that maybe only a handful of new researchers might attend the workshop, as it was the last day of the conference. Instead, the room was full of attendees, many of whom had never sent an experiment into space. 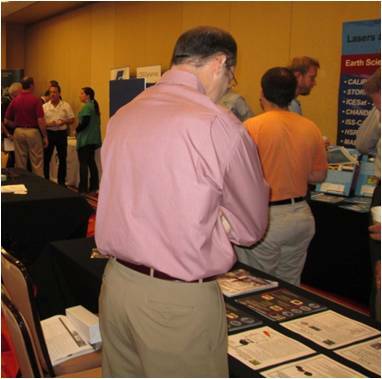 An Implementation Partner Tradeshow complemented the workshop. Booths targeting potential investigators were set up by companies with expertise in developing and integrating payloads for flight to the space station. Presentations and video footage of the First Annual International Space Station Research and Development Conference are available on the CASIS website and the AAS website. It is an exciting time at CASIS following the conference and the release of our first RFP. Having been with CASIS since almost the start, I’ve watched the organization grow and bring on talented team members, and the RFP release is a major milestone and an energizing achievement for all of us. On the second day of the conference, CASIS also announced a signed Memorandum of Agreement with COBRA PUMA GOLFTM to conduct space-based materials research projects for use in its sporting goods product line. Along with this announcement, we released our design for a “Space Is In It” product endorsement that will be awarded by CASIS to select products enhanced by National Lab R&D. A very busy week! 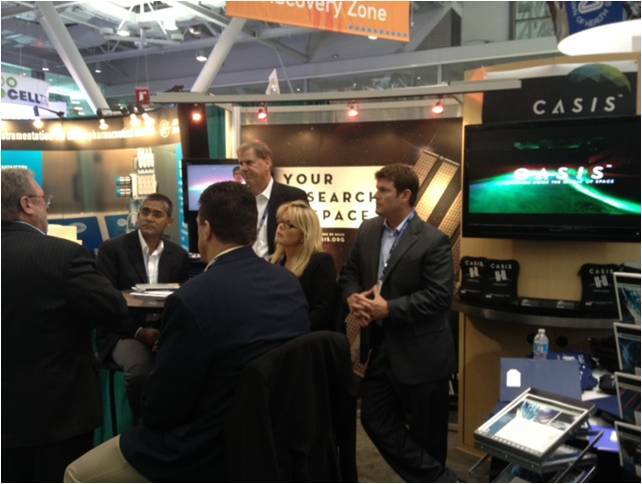 The week prior to the Denver conference, CASIS team members attended the annual BIO conference in Boston, where we had a booth in the exhibit hall and productive and encouraging meetings with a variety of companies and foundations. As the momentum builds from CASIS outreach events and announcements for research opportunities, we hope to attract even more pioneers in the R&D community and to support the efforts of the next generation of innovators. 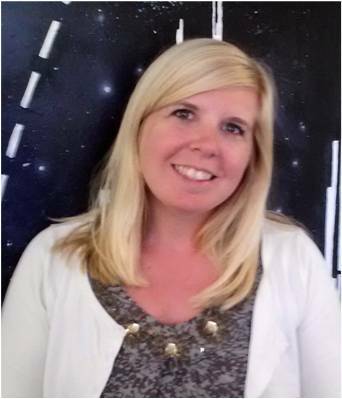 Emily Roberge White works with the Center for the Advancement of Science in Space, or CASIS, in scientific communications. White previously worked in medical writing for the Eisenberg Center for Clinical Decisions and Communications Science and also does freelance science writing, editing and consulting. She has a Bachelor of Science degree in Biochemistry and Molecular Biology, a Master of Science degree in Molecular and Human Genetics and a Master of Science degree in Science and Technology Journalism. In today’s A Lab Aloft International Space Station Program Scientist Julie Robinson looks back at the year in review for research aboard the orbiting laboratory. As the year comes to a close, I like to take a moment to look back at all the amazing accomplishments from the previous twelve months for the International Space Station. There are lessons to be learned and goals to be evaluated as part of planning for the new year. But this is also a time to enjoy achievements and strides made via this orbiting laboratory in research, technology and education. The vantage point of station offers not only an impressive view of our planet, but the chance to capture and study important aspects of the Earth’s atmosphere, waters, topography and more. The 2012 arrival of the ISS SERVIR Environmental Research and Visualization System, known as ISERV, will enhance the viewing capabilities from orbit used to support disaster assessment, humanitarian assistance and environmental management. 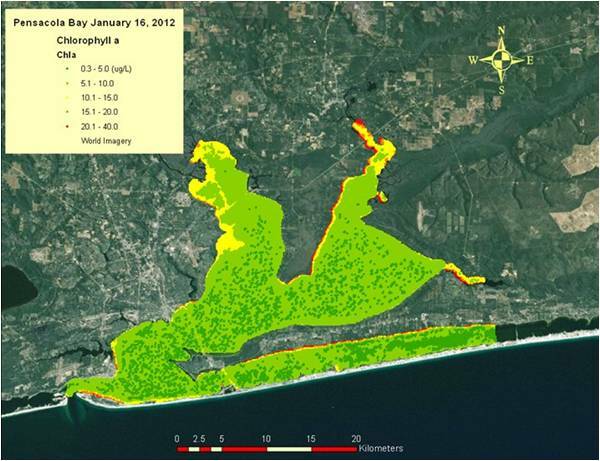 This year an externally-mounted station instrument contributed to the Environmental Protection Agency’s goal of monitoring and improving coastal health. The same Hyperspectral Imager for the Coastal Ocean, or HICO, also assists the National Oceanic and Atmospheric Administration, or NOAA, with scans to determine depth below murky waters, bottom type, water clarity and other water optical properties. Assisting with disaster response became the secondary mission for the International Space Station Agricultural Camera, or ISSAC. This imager was originally intended for agriculture vegetation surveys to assist with crop and grazing rotation. When that primary science objective ended, the camera became part of the space station’s response efforts for global disasters as part of the International Disaster Charter. This year NASA’s continued support in educational areas of science, technology, engineering and math (STEM) led to some exciting student-based activities and resources. With the Student Spaceflight Experiment Program, or SSEP, for instance, 15 investigations were selected from close to 800 proposals of student inspiration and design. The results from these studies will be shared at the national conference held each year in Washington DC. The YouTube Space Lab competition provided another opportunity that caught the attention and imagination of students around the world. Two investigations were selected as winners from more than 2,000 video submissions and many tuned in to watch as the experiments were conducted by astronauts live on orbit. 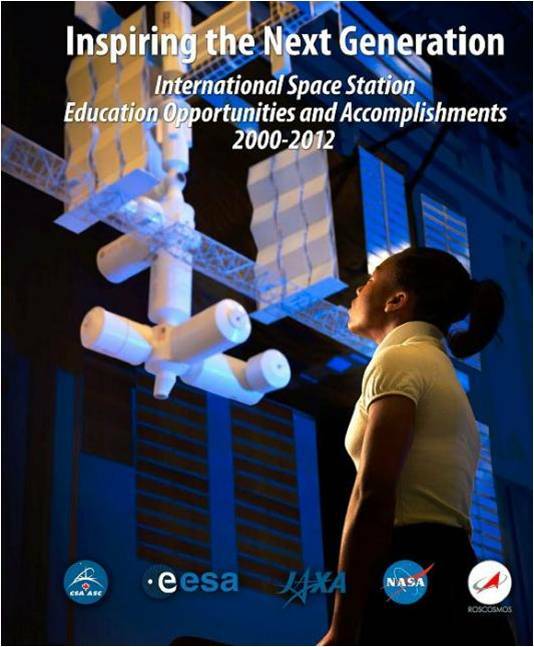 You can read about all of the education activities available to students to participate in space station science in our recently published “Inspiring the Next Generation: International Space Station Education Opportunities and Accomplishments, 2000-2012.” This retrospective book details station activities involving more than 42 million students and 2.8 million teachers across 48 countries from 2000 to 2012. The space station plays an important role as a microgravity testbed for emerging technologies. The JEM-Small Satellite Orbital Deployer, or J-SSOD, for instance, operated for the first time in 2012, launching multiple small satellites into orbit. This new capability provides a reliable, safe and economically viable deployment method for releasing small satellites, in addition to enabling the return samples to the ground for analysis. Another exciting technology tested on station is the Robotic Refueling Mission, or RRM, which may help support future space exploration using advanced robotics to service vehicles and satellites in orbit. This capability does not currently exist, but is essential to long-duration exploration missions of tomorrow. Findings from station investigations are impacting human health both here on Earth and in orbit. For instance, recently published results related to bone health showed that a combination of nutrition, Vitamin D supplements, and high-intensity resistive exercise help the crew to preserve bone mass density without the need for pharmaceuticals. These findings also apply to the development of treatments for osteoporosis patients here on Earth, an estimated 44 million in the United States alone. 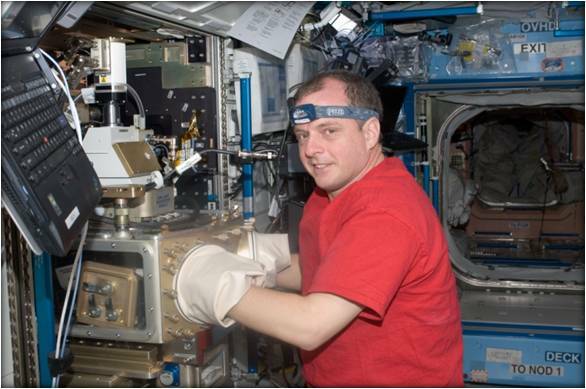 Crew health was highlighted in vision studies in 2012, as well, with the publication of two results papers focused on the impact of microgravity on astronaut vision changes. Research found that significant vision loss in 20 percent of crew members may derive from a combination of the spaceflight environment and changes in metabolism, with an enzyme related to cardiovascular health potentially playing a role. 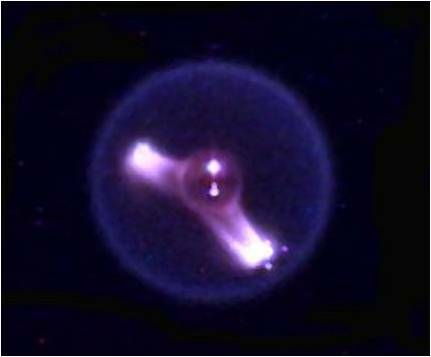 A discovery of “Cool Flames” caused excitement in the physical sciences community this year. These low-temperature flames ignite via chemical reactions from fuel vapor and air, burning invisible to the eye. This knowledge can help with improving fire safety in orbit, but also has implications for cleaner and more fuel efficient combustion in engines here on Earth. Looking forward to 2013, there are still so many exciting things to learn in the various disciplines studied aboard station. Whether in biology and biotechnology, Earth and space science, human research, the physical sciences or even technology developments, there remains a huge potential for discovery. The advent of updated and new facilities planned for the station will help enable investigators in their research in these areas. Along with the research taking place aboard station, we continue to see Earth benefits that derive either directly or as a spinoff of station science. I look forward to continuing to share these findings and stories with you in the coming year and through the lifetime of this amazing microgravity laboratory. In today’s A Lab Aloft we remember Dr. Bob Phillips, who served as the chief scientist for Space Station Freedom, helping to pave the path for future research in orbit. A doctor of veterinary medicine with a Ph.D. in physiology and nutrition, Bob started his career with NASA in 1984. Part of Spacelab Life Sciences (SLS) 1, which launched aboard space shuttle Columbia’s STS-40 mission in 1991, Bob had planned to serve as an astronaut payload specialist, but was grounded due to a minor medical condition. Instead, he played a key role as the principal radio contact between the crew and ground while they conducted the first mission dedicated to microgravity biomedical research. Bob followed the SLS-1 mission with a three-year stint as chief scientist of Space Station Freedom, which evolved into today’s International Space Station. As the current space station program scientist, I can’t help but look back at Bob’s accomplishments and be inspired in my own goals and endeavors for research in orbit. I recently spoke about Bob’s contributions to NASA with my colleague Jennifer Rhatigan, Ph.D., who was a leader in space station science during the station’s assembly and established the International Space Station Program Science Office. Jennifer, who served with Bob on a number of committees, remembered him not only as a scientist, but also as a gentleman who was a pleasure to work with. Bob continued his career with NASA and into retirement with a focus on outreach and education. According to his NASA Quest profile, Bob espoused a belief in lifelong learning and continued scientific endeavors. When I think about where we are now with research aboard the space station after more than a year of full utilization, I am still in awe of the accomplishments that are shared by those who contributed past, present and future to the station’s success. The flexible and adaptable laboratory we have today was built on the foundation of hard work and dedication from people like Bob Phillips and the way he helped to put science into an engineering marvel. In today’s A Lab Aloft, guest blogger Kristyn Damadeo shares the history of the SAGE investigation, scheduled for future use on the International Space Station. This technology can help researchers to better understand Earth’s atmosphere makeup, especially the health of our ozone layer. SAGE III mounts externally to the space station and is a mission to study Earth’s atmosphere sponsored by the NASA Science Mission Directorate and led by NASA Langley Research Center. 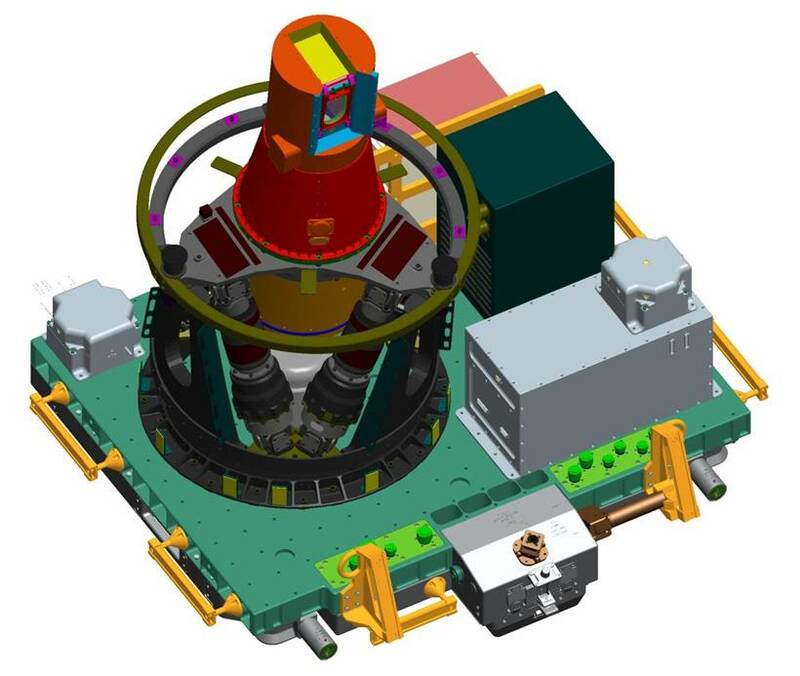 It will be the first Earth-observing instrument of its kind aboard station, taking accurate measurements of the amount of ozone, aerosols—tiny particles—water vapor and other key components of Earth’s atmosphere. SAGE III is the first of its kind to operate on station, but the SAGE family of instruments has been taking atmospheric measurements for more than 30 years. SAGE III is the fourth generation in its family operated by NASA. The first SAGE instrument was flown on a satellite in 1979. SAGE I was a sun photometer that used solar occultation—a measurement technique using the sun as a backlight—to gather information on aerosols and important stratospheric gases in the atmosphere. SAGE I collected valuable data for nearly three years, until the power system on the satellite failed. With SAGE I came the start of a global database for stratospheric aerosols, ozone, and nitrogen dioxide that is still used in the study of global climate. While SAGE I was active, it provided crucial input into the understanding of global, seasonal and inter-annual variability in climate and, in particular, trends in stratospheric ozone. SAGE I was followed by SAGE II in 1984. SAGE II data helped to confirm human-driven changes to ozone and contributed to the 1987 Montreal Protocol, which banned the use of chemicals that harm the ozone layer. SAGE II lasted 21 years on orbit, allowing us not only to determine the initial extent of ozone changes, but also to measure the effectiveness of the Montreal Protocol. SAGE II saw ozone stop decreasing and begin to recover during its time on orbit. Then in the late 1990s, SAGE III was developed by Ball Aerospace and Technology Corp. The first of the instruments was launched in 2001 on a Russian satellite, METEOR-3M. The second instrument was stored for a future flight of opportunity. The third was removed from storage and prepared for flight on the space station. The mission will enable researchers to fill an anticipated gap in ozone and aerosol data in the second half of this decade. SAGE III will study Earth’s protective ozone layer from aboard station. Ozone acts as Earth’s sunscreen. When ozone starts to break down, it impacts all of Earth’s inhabitants. 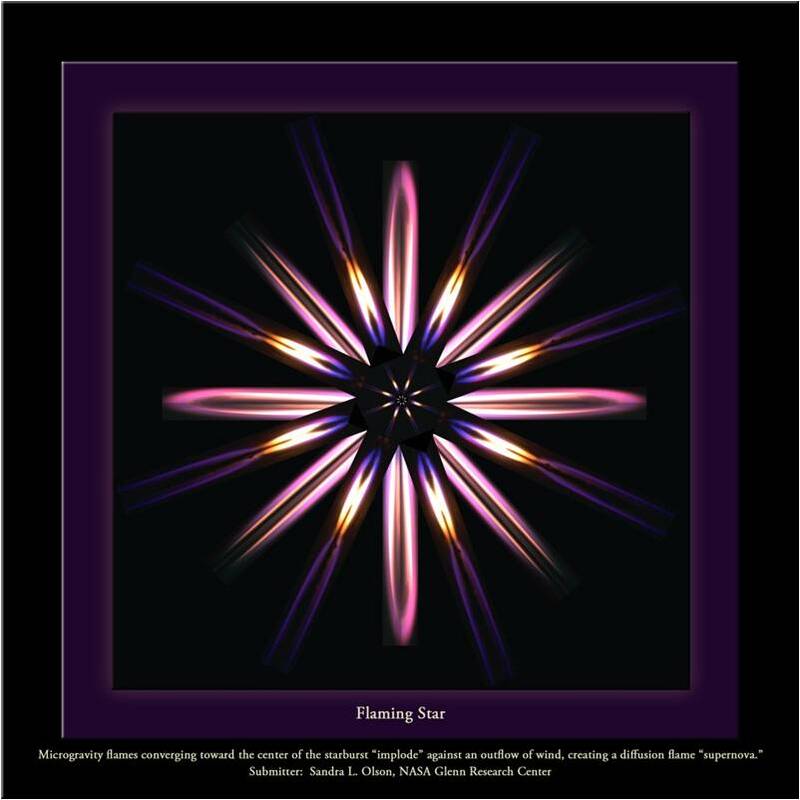 Humans, plants and other animals are exposed to more harmful rays from the sun. This can cause long-term problems, such as cataracts and cancer in humans or reduced crop yield in plants. When SAGE III begins making measurements from the space station in late 2014, some models predict that stratospheric ozone should have recovered by 50 percent. The precise pattern of ozone recovery measured by SAGE III will help improve the models and refine our understanding of the atmosphere. SAGE III takes its measurements using solar and lunar occultation. Occultation is a technique for pointing and locking onto the sun or the moon and scanning the limb—thin profile—of the atmosphere as the sun or moon rises or sets. SAGE III will operate mostly autonomously and the data will be transmitted to the ground through the space station’s communications systems. 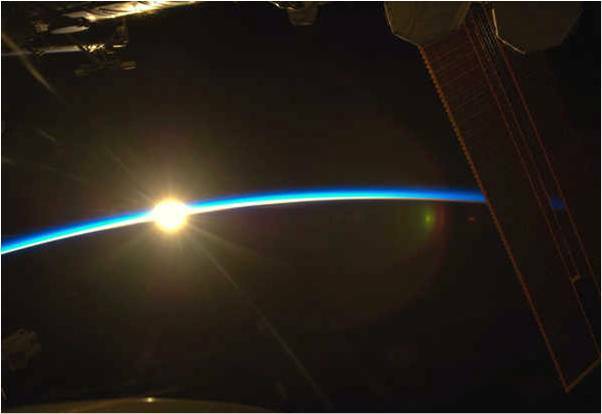 The space station provides the perfect orbit from which to take measurements of the composition of the middle and lower atmosphere. Our location aboard station also gives us a great view for our solar/lunar occultation technique. SAGE III is scheduled to launch to the space station aboard a SpaceX Falcon 9/Dragon in mid-2014. 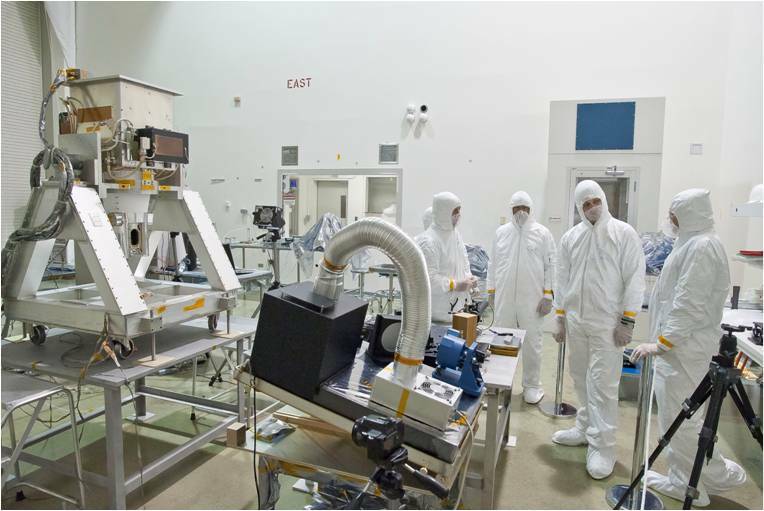 The SAGE III suite consists of a sensor assembly that has pointing and imaging subsystems and an ultraviolet/visible spectrometer; an European Space Agency- provided hexapod pointing system and a nadir viewing platform. The Canadian Space Agency-provided robotic arm will robotically move SAGE III from the Dragon trunk and install it on the Earth-facing side of the EXPRESS Logistics Carrier-4, or ELC 4, storage platform. The research results of the space station-mounted SAGE III will provide insights that will help humans better understand and protect Earth’s atmosphere. Only by understanding these changes will we be able to mediate future impacts on our environment. Much more data and research is needed to better understand and quantify our impact on our world’s climate system. The SAGE program has a long heritage and is one of NASA’s longest running Earth-observing programs. Continuous long-term data collection is necessary to understand climate. Once it is on the space station, SAGE III will help to extend a long record of atmospheric measurements for the continued health of our Earth. The observations of SAGE III from station are crucial for providing a better understanding of how natural processes and human activities may influence our climate. SAGE has been pivotal in monitoring ozone and making accurate measurements of the amount of ozone loss in Earth’s atmosphere. Today, the SAGE technique is still the best for the job. Although new technologies have come along to measure ozone, none are as thorough as solar occultation. Through this dataset, SAGE on the station will enhance our understanding of ozone recovery and climate change processes in the upper atmosphere. We also extend the scientific foundation for further sound decisions on environmental policy, both nationally and internationally. Kristyn Damadeo is the Education and Public Outreach Lead for SAGE III on the International Space Station at NASA’s Langley Research Center in Hampton, Va. She has previously worked as a science writer and a newspaper reporter, specializing in environmental reporting. Damadeo has a degree in Communication Arts from Ramapo College of New Jersey. In today’s A Lab Aloft, guest blogger Donald Barker explains the complex world of colloids and how studying them aboard the International Space Station helps us understand and use them better here on Earth. So what exactly is a colloid? In our daily lives we generally think of traditional forms of matter: solids, liquids, gasses. Colloids, however, exist around and near the boundaries of these states—not quite being one or the other. Colloids generally take one of the following forms: aerosols, emulsions, gels, sols, foams or films. Colloids form when particles disperse throughout a solvent, usually a liquid, depending on the purpose of the mixture. 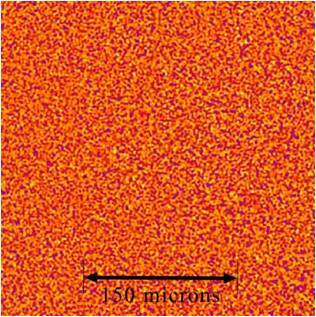 Colloidal particles are too small to be seen with ordinary optical microscopes. The size of the particles is somewhere between atoms and molecules, roughly 10 to 1,000 nanometer (or 1 micrometer). At such minute scales, physical interactions seem to work in mysterious and magical ways. This critical particulate size range is exactly where it needs to be in order to make it unlikely that they will settle out of their mixture; this property is why they are so useful. For researchers interested in colloids, the International Space Station provides a unique laboratory environment to examine their properties. On Earth, gravity-induced settling or sedimentation changes or destroys the structure of a colloid over time. In microgravity, scientists have a stable setting where they can observe the particle interactions and structures while changing various environmental parameters, such as temperature and pressure. Researchers are directly interested in the interactions occurring between the surface of the colloidal particles and their solvent. The mixture behaves in different ways, based on both the size of the colloid particles and their interactions with the solvent. 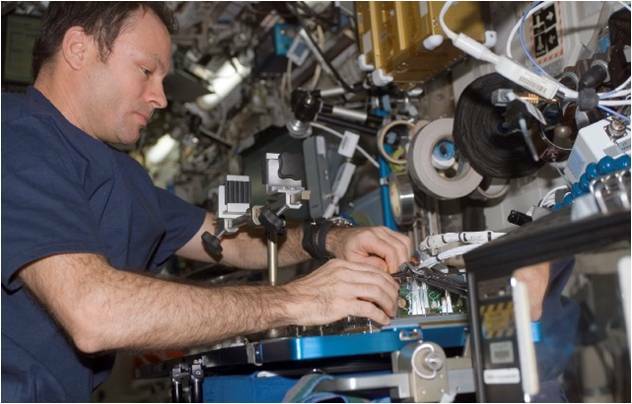 Ongoing colloid investigations make use of space station facilities like the Microgravity Science Glovebox (MSG), the Fluids Integrated Rack (FIR) and the Light Microscopy Module (LMM). Understanding the behavior of colloids allows scientists to create models and process that can be used to enhance food and chemical preservation, evenly distribute ingredients used to produce glues, jellies and gelatins or even to control the movement of light in optical devices and materials. Controlling colloidal mixtures can help global industries create better, more reliable products and processes. Colloid studies occur regularly on the space station and one of these investigations is the Advanced Colloids Experiment-1, or ACE-1. The ACE-1 containment device holds up to 20 sample disks that, in turn, each hold up to 10 wells of colloidal particles. Astronauts mix the samples in each disk and then observe them using the LMM. The crew member takes pictures for downlink to investigators for analysis on the ground, where the investigators monitor and record colloidal structural changes and particle interactions. The goal of ACE-1 is to understand how colloids move over time in the microgravity environment. By seeing how these particles naturally aggregate or cluster without the pull of gravity, scientists can learn how to control them. Essentially, they are looking to see how nature grows at the particle level, forming order out of disorder. Researchers hope to see how well their theoretical understanding compares to the world of everyday observations. Another set of colloid studies aboard station is the Binary Colloidal Alloy/Aggregation Test, or BCAT investigation. The BCAT-6 study is the latest in a series of related experiments run on the station. It uses a sample growth module that holds 10 couvettes—small test tubes, each with a different colloid solution mixture. Observations begin following the stirring of each sample. Manual and automated time-lapse photographs record the separation over time. Objectives of the BCAT suite of investigations include studying the dynamics between phase separation and crystallization in the solution, as well as how order arises out of disorder in microgravity. Another station investigation is the Selectable Optical Diagnostics Instrument – Aggregation of Colloidal Suspensions, or SODI-Colloid. This is a series of experiments using cell chambers that hold individual samples that are measured optically using a Near-Field Scattering (NFS) technique within the MSG. Understanding how the particles making up colloids react, move, arrange and form crystals as the temperature reaches the critical point can help with the development of materials for devices using electromagnetic waves and signals to manipulate optics, such as plasma TVs. A very different colloidal mixture—a magnetic one—is studied in Investigating the Structure of Paramagnetic Aggregates from Colloidal Emulsions-3, or InSPACE-3. This series of microgravity studies focuses on mixtures with magnetizable particles of varying shape (spheres to ellipsoids) exposed to an alternating magnetic field. 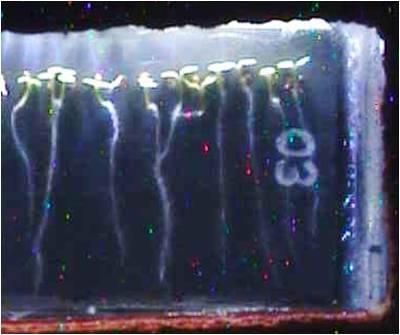 These kinds of fluids are considered to be “smart” materials, which transition into a solid-like state or gel when exposed to a magnetic field. Understanding how to control and produce colloidal materials of this kind may help in the engineering of vibration dampening systems, enhanced earthquake structural designs, robotic systems, tunable dampers, and brake and clutch systems. On Earth, colloids tend to collapse, change form, or sink, depending on particle size, shape, composition, fluid solvent mixture or environmental conditions; all highly dependent on the effects of gravity. This is why the space station provides an ideal laboratory setting for researchers to tease out the underlying physical properties of colloidal solutions. As we better understand the special and fascinating properties of colloids, researchers will be able to devise better technologies and products for use back here on Earth. Donald C. Barker is a scientist with the International Space Station Program Science Office. 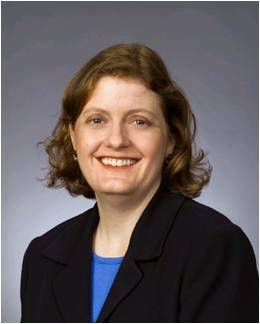 Previously Barker served as a lead systems engineer, flight controller and researcher at the Johnson Space Center. He holds a double Bachelor of Science degree in Physics and Psychology from Colorado State University, Master of Science degrees in Physics, Psychology, Mathematics and Space Architecture, and he is currently pursuing a Doctor in Philosophy in Planetary Geology at the University of Houston. 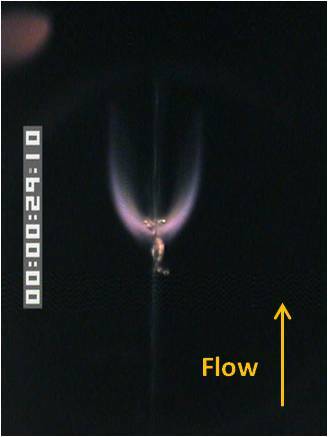 In today’s A Lab Aloft guest blogger, Sandra Olson, Ph.D., reveals some of the mysteries of how flames burn in microgravity, as well as how flame studies on the ground and aboard the International Space Station help with fire suppression and safety in space. The drop test was remotely run from the ZGRF control room. 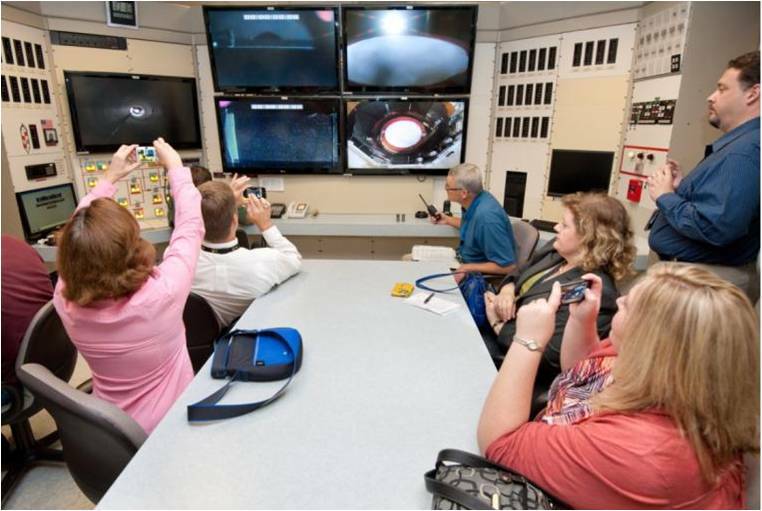 Controllers activated the miniature wind tunnel apparatus to establish a spacecraft ventilation flow environment, then ignited the material and dropped the experiment. Once the sample releases into freefall, the experiment is completely automated. The drop vehicle lands in the catch-bucket at the end of the 5.18 second test. We have performed many drop tests studying how materials burn in microgravity compared to how they burn in normal gravity, or 1g. What we have found is that many materials actually burn better in the spacecraft flow environment than in 1g. This is because on Earth the buoyant flow—created when less dense materials rise within greater density environments—is strong enough to blow the flame out with oxygen reduction. In low ventilation, however, the slow flow provides the oxygen at an optimum rate, so the flame can survive to lower oxygen levels than in 1g. To learn more about the concepts of microgravity and combustion in the space environment, watch this “NASA Connect” video. Enhanced flammability in space was recently proven in longer duration burn experiments aboard the space station as part of the Burning and Suppression of Solids, or BASS, investigation. For this study, the crew of the space station gets to play with fire. As a co-investigator, I get to observe via video on the ground and directly talk to the crew as they ignite a flame in the controlled area of the Microgravity Science Glovebox, or MSG, filming the behavior of the burn. 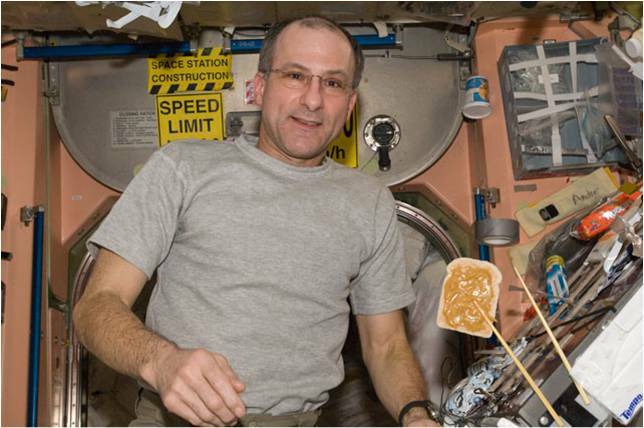 After his recent return to Earth, Astronaut Don Pettit, who worked on the BASS flame study in space, testified to a Senate subcommittee about the investigation and the importance of combustion experiments in microgravity. These experiments so far have confirmed that when the air flow is turned off, the flame extinguishes rapidly as it runs out of oxygen, with no fresh air flow. The MSG provides an enclosed work area, sealed to contain fluids, gasses and equipment for the safe running of combustion experiments. The crew views the burning material through the front window. The flame can be seen through this window in the picture with Joe Acaba (above). You also can see Don Pettit working on a previous run of BASS aboard station in this video. CO2 suppression system currently employed on station. BASS results also catch the attention of future spacecraft designers. One of the sample materials burned in BASS is acrylic, also called Plexiglas. This material is under consideration for spacecraft windows because of its excellent strength, mass and optical properties. However, it also burns quite well in the space station air environment. BASS payload summary reports mentioning acrylic have spurred a number of recent inquiries to the investigator team about the flammability of this material. After all, you don’t want your spacecraft windows to catch on fire! The BASS investigation has direct applications to spacecraft fire safety and astronaut wellbeing. 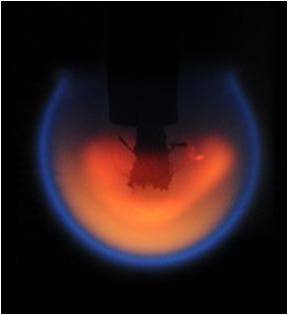 A combustion experiment, BASS was jointly designed by scientists and engineers at NASA and the Universities Space Research Association, or USRA. BASS operations are scheduled to begin again aboard the space station in the spring of 2013. The best part of my job as a researcher is the thrill of discovering new phenomena unique to microgravity. It is exciting to work with something as beautiful and powerful as fire, especially in these unique microgravity environments. 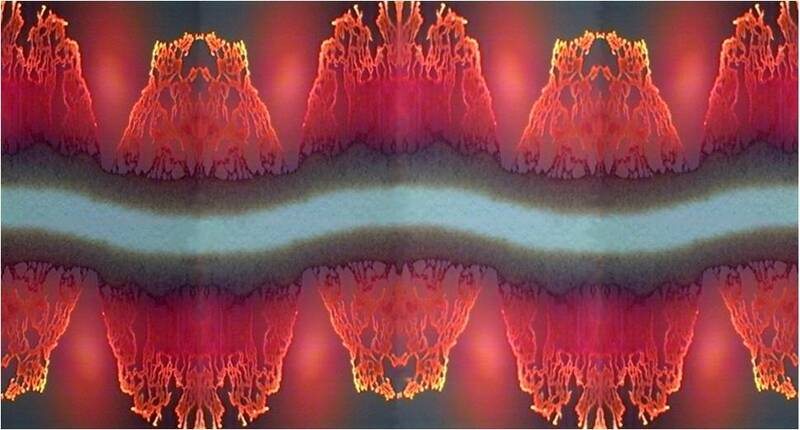 The fire images have inspired me to create art images from them. The more we understand the behavior of flames with given materials and conditions, the better prepared we will be to harness their potential and contribute to fire safety in future space exploration. What’s next will depend on what we discover from these ongoing tests, building on the knowledge already gained from these important combustion studies. 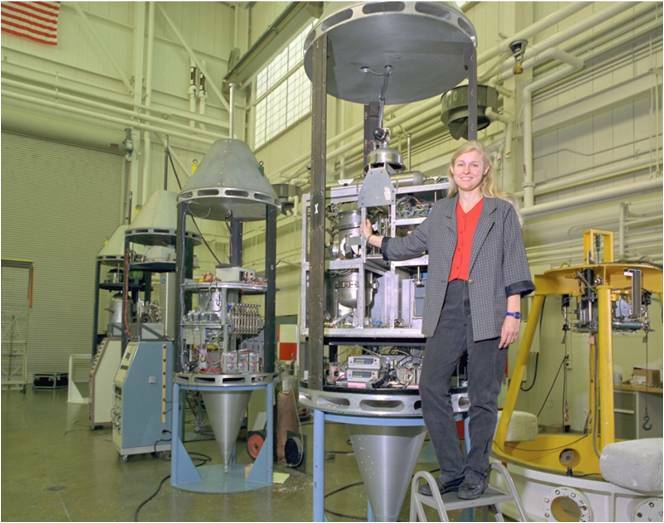 Sandra Olson, shown here with the microgravity wind tunnel drop apparatus. Sandra Olson, Ph.D., is a spacecraft fire safety researcher at NASA’s Glenn Research Center, as well as the project scientist and co-investigator for the BASS investigation. She has a B.S. in Chemical Engineering and a M.S. and Ph.D. in Mechanical Engineering. She has worked at NASA since 1983, most of that time studying microgravity combustion. In today’s A Lab Aloft Assistant International Space Station Program Scientist Camille Alleyne talks about a new education publication that highlights more than a decade of inspiring student opportunities with space station investigations and activities. From a personal perspective, the value of the space station is as a platform for promoting Science, Technology, Engineering and Math (STEM) education, and engaging and exciting students in their studies in these areas. We can really inspire and increase interest in these subjects so that our youth go on to become the next generation of scientists, engineers and explorers. In the past 12 years of operation, there have been more than 42 million students, 2.8 million teachers and 25,000 schools from 44 countries involved in education activities aboard the space station. This is a bonus in addition to our space station research for exploration, scientific discovery and applied research. 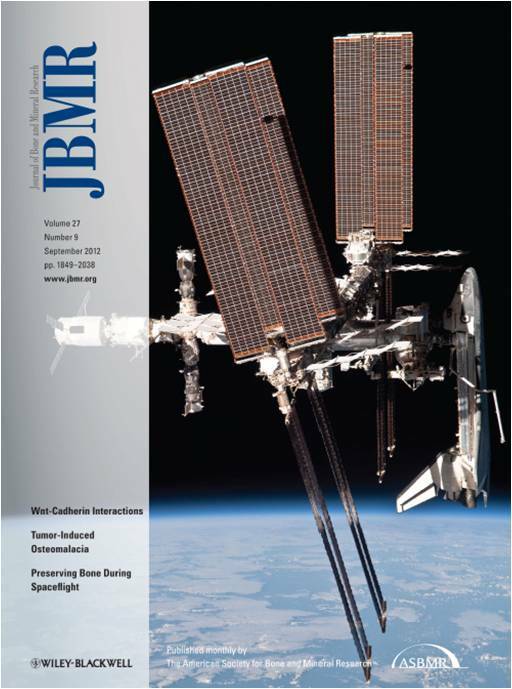 This publication is the follow up to “Inspiring the Next Generation: Student Experiments and Educational Activities on the International Space Station, 2000–2006,” and is a product of NASA’s ISS Program Science Office. The new document is the first time we worked to share these education activities in partnership with our international partners to show the benefits of space station research and education interactions that impact our life here on Earth. There was a team of education leads from each of the international partners that contributed to this publication, which is a comprehensive documentation of all the education activities conducted on the space station since 2000. This includes activities that are ongoing and will continue for the next few years. This book looks at education activities in several different categories. Students are able to get involved with experiments that fly on the space station. They also have opportunities to take part in competitions, with the winners getting to either fly their experiments on station or have a crew member perform some aspect of the challenge. Finally, students have the ability to participate in classroom versions of station investigations by either mimicking or outright partaking in the experiments happening aboard station. An example of this is Tomatosphere, a Canadian Space Agency-sponsored plant investigation. 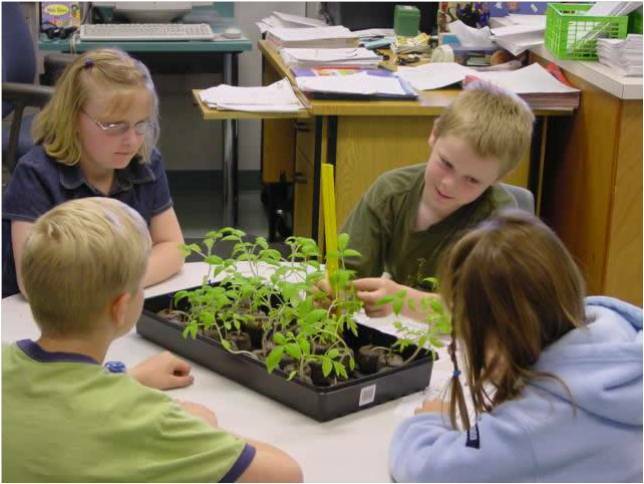 Researchers fly tomato seeds aboard station, while students on the ground grow their own seeds in the classroom. The young scientists participate in the scientific process by comparing the differences in germination from seeds flown in space vs. those that never left Earth. When students engage directly with researchers flying their investigations aboard station, they usually play a role in data analysis and the setting up of studies before they fly. For instance, with the International Space Station Agricultural Camera, or ISSAC, a student-based staff participated in designing, building and controlling the camera remotely during primary science operations. So there are many ways for students to engage with the space station. There are also opportunities to learn from demonstrations by astronauts previously done aboard station. Teachers can access and play these experiments in the classroom to demonstrate different scientific concepts and theories. 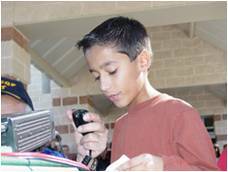 Taking this one step further, students can even engage in real-time crew interactions via live downlinks or ham radio contacts. 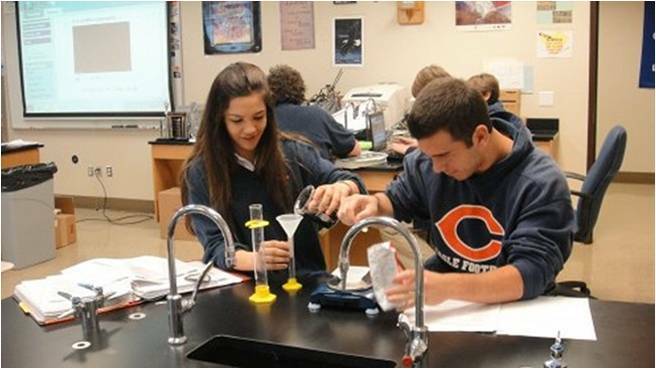 With inquiry-based activities, students get to learn how real researchers work and how the scientific process functions simply by being allowed to ask questions, develop hypothesis and analyze data. They learn to think deeply and critically about different scientific concepts, which is a true value of education engagement with the space station. The opportunity to collaborate with the international partners for this project was really interesting. I was able to gain insight into their education objectives and how they compare to those here at NASA. 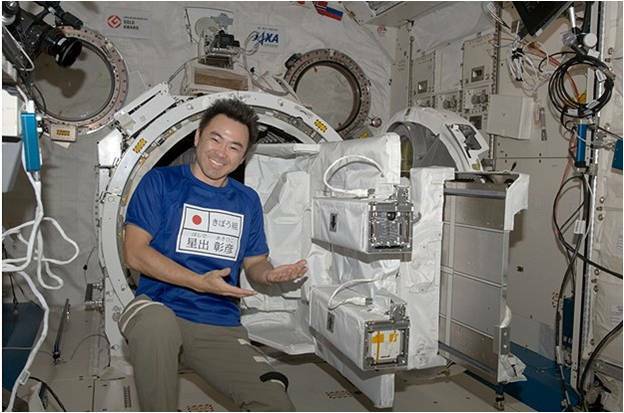 The Japanese Space Agency, or JAXA, for instance, puts a lot of emphasis not only on STEM education, but on using cultural activities as a way of inspiring the public. That is not something we focus on at NASA, but it was fascinating to see the diverse connection between art and science in these space-related education activities. Take for example the Space Poem Chain project, which used poetry to break barriers by using space as an inspiration for contributors from ages 8 to 98 from around the globe. It was also fantastic to have Russian Space Agency contributions and to see the ways they go about inspiring their children. Also different from the U.S., the Russians use satellite development and communications technology as their main vehicle for engaging students, while simultaneously building their sense of wonder and skill. Seeing the different cultures and what their missions are in terms of educational goals, including how they manifest into activities, was fun to learn and then to share in this collaboration. We have one story from each partner highlighted on our Benefits website in the area of education. Now we get to take all of our collective efforts and extend the benefits of these activities across the partnerships to other students in other countries around the world. Building this education book with my colleague, Susan Mayo, was a unique experience; a very rewarding one. I look forward to the continuing and growing impacts of the space station. I feel it is important to note that the inquiry-based approach to science education, like that done with the space station, is what scholars cite as the value that excites students to pursue careers in STEM based areas. I see more of an emphasis on this type of station educational activity in the future. I would also like to see younger participants for these station activities. Consider the Kids in Micro-g project, where we had 5th graders competing to design microgravity experiments. A group of nine year-old girls won and had their investigation conducted aboard station. This led to an actual scientific discovery that nobody expected, contributing to the body of knowledge in that area of physics. The audience for this book is primarily space station stakeholders, but the activities that make up the content have the ability to impact students everywhere, no matter what culture or language. This book has some engaging opportunities that students all over the world could participate in. The thought that 8, 9, and 10 year-olds can teach us something new about exploration and going beyond what we think we know is really exciting! I would like to see what other young minds can contribute using space station education. Camille Alleyne is an assistant program scientist for the International Space Station Program Science Office with NASA’s Johnson Space Center where she is responsible for leading the areas of communications and education. Prior to this, she served as the Deputy Manager for the Orion Crew and Service Module Test and Verification program. She holds a Bachelor of Science degree in Mechanical Engineering from Howard University, a Master of Science degree in Mechanical Engineering (Composite Materials) from Florida A&M University and a Master of Science degree in Aerospace Engineering (Hypersonics) from University of Maryland. 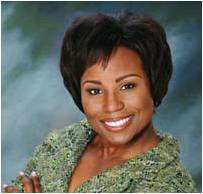 She is currently working on her Doctorate in Educational Leadership at the University of Houston. In today’s A Lab Aloft blog post, guest blogger Scott M. Smith, Ph.D., reflects on the recent publication of results on human health space station research regarding the beneficial connections between bone density, diet and exercise. From a science perspective, this marks the first documentation of protecting bone mineral density during space flight. It’s amusing that I have already gotten several questions about whether or not we can tell if it was the exercise or the nutrition that made the beneficial difference. The answer is no, we can’t. I suspect some folks would like to think it is just the exercise. I am quick to point out, however, that while I am somewhat biased as a nutritionist, I believe that all aspects were critical to the success of the program. There are plenty of non-NASA studies showing that inadequate nutrition leads to bone loss. I’ve also seen online summaries of research giving vitamin D the lead role—I guess it all depends on your perspective. Regardless, nutrition (including and beyond vitamin D) and exercise are both very important. We are not going to set up experiments to determine if limiting one of these factors has a negative effect on bone, given that would clearly be the wrong thing to do for the crew of the International Space Station. 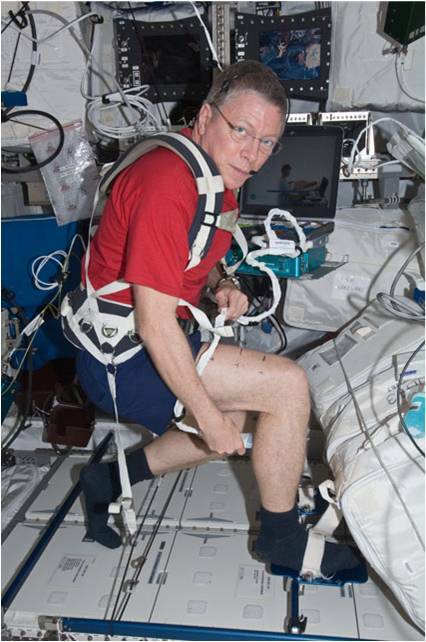 There has been immediate reaction to the Benefits for Bone from Resistance Exercise and Nutrition in Long-Duration Spaceflight: Evidence from Biochemistry and Densitometry paper. Some people feel that we can now proclaim spaceflight-induced bone loss a fixed problem and move on. This is clearly not the case, however, as what we found is that bone seems to be remodeling. In other words, bone breakdown still increases, but what happened here is that bone formation tended to increase as well, which appears to help maintain bone mineral density. A big question remains: is the bone as strong after flight as it was before flight? Follow-on studies are underway to help answer this. Nonetheless, it is better to maintain bone mineral density with a question about strength, than to not maintain bone mineral density—which is where we’ve been up to now. We also hope to optimize both exercise protocols, for example using the Sprint Investigation aboard station, and nutritional aspects of bone health, as seen with the SOLO and Pro K studies. You can read more about these topics in my earlier blog entry on omega-3 fatty acid: Of Fish, Astronauts, and Bone Health on Earth. Another striking thing about this paper was the team. We had two of NASA’s bone experts, Linda Shackelford and Jean Sibonga; one of NASA’s muscle/exercise experts, Lori Ploutz-Snyder; and nutrition experts from NASA and ESA, Sara Zwart, Martina Heer, and myself. Getting all teams to come together to work on this paper required a fair amount of choreography, including agreements on presentation, interpretation and description of the data. 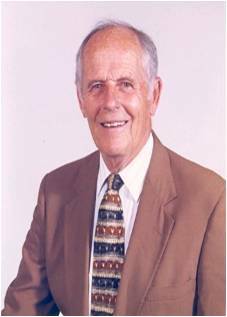 As an aside, in the late 1990’s Dr. Shackelford led an effort to conduct bed rest studies with resistance exercise here on the ground. She published results that mirror what we found in the flight study. Bed rest is a model of space flight, and results in a different magnitude bone loss, but nonetheless it provides evidence useful in assessing flight studies. This is a perfect example of why we test things on the ground first, but then also test them in flight. We want to be sure to know what happens in actual space flight. Another unique aspect of this paper is the time it took to pull everything together. It was early this year, on January 26, Sara Zwart and myself were sitting in the office trying to assess what data from the Nutrition investigation we should look to try to publish next. I mentioned that we had not published any of the bone marker data, and perhaps we could look at ARED/iRED differences. 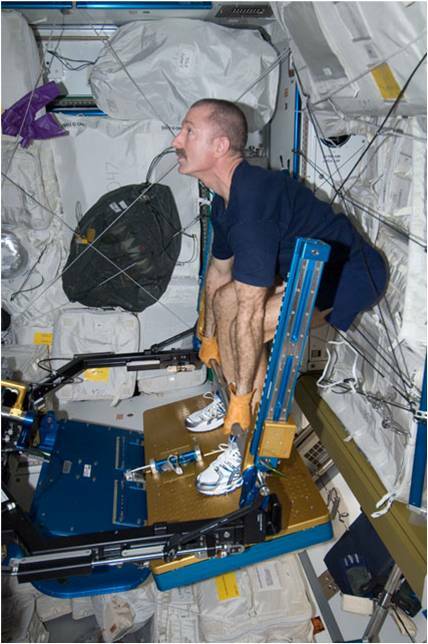 ARED is the Advanced Resistive Exercise Device aboard station that the crew uses to simulate free weight exercises on orbit, while the iRED is the Interim Resistive Exercise Device used for upper body strength development. I told Sara I would start working words, and she should start working tables. By 9:30 the morning of the January 27, 24-hours after we first discussed it, we had a 17-page draft of the manuscript, which included 3 tables of data and complete statistical analysis. It took us about a week (and some sleep) to clean up the draft, and we then sent it out to the coauthors to start the process of bringing in their expertise and adding in details. This was especially important regarding the exercise aspects and the bone measurement details, which elude us nutrition types, along with overall interpretations. Essentially taking eight months from concept to publication, the journey for this paper is simply incredible! We’ve never had a scientific paper go from essentially the first look at the numbers to print this quickly before, and, well…you never count on something like this to happen again. 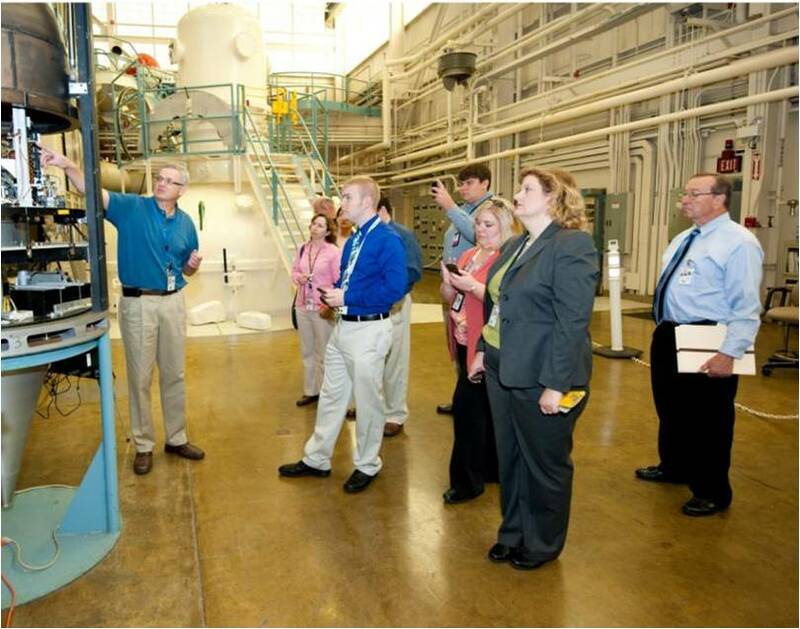 Scott M. Smith leads NASA’s Nutritional Biochemistry Lab at Johnson Space Center. He completed his doctorate in nutrition at Penn State and conducted postdoctoral research at the U.S. Department of Agriculture’s Human Nutrition Research Center in North Dakota. Smith leads experiments, both on the ground and in space, aimed at improving astronaut nutrition. 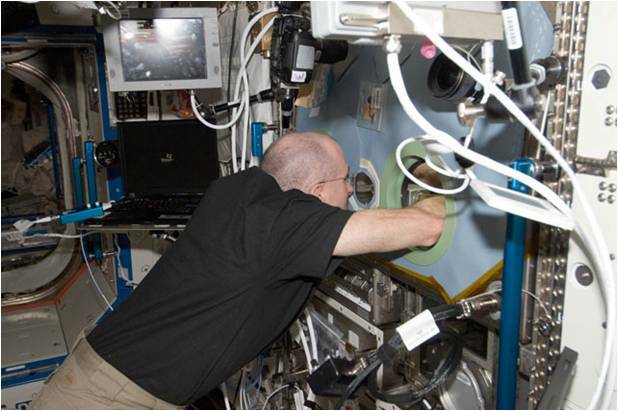 Smith’s two space station experiments include Nutritional Status Assessment and Pro K. The Pro K study is designed to investigate the roles of animal protein and potassium in bone loss. In today’s A Lab Aloft guest post, International Space Station Plant Signaling study Principal Investigator Imara Perera, Ph.D., shares the importance of involving students in science today to groom them for careers in research tomorrow. I find working with the International Space Station for plant growth studies inspiring, and it’s important to me to share my enthusiasm with the next generation of researchers. Most of the students that work with me in the lab come through some sort of internship program and get class credit for doing research. Students can also apply for research awards from North Carolina State University to fund their work. My current project, Plant Signaling, generated a lot of interest when I spoke at the university biology club. 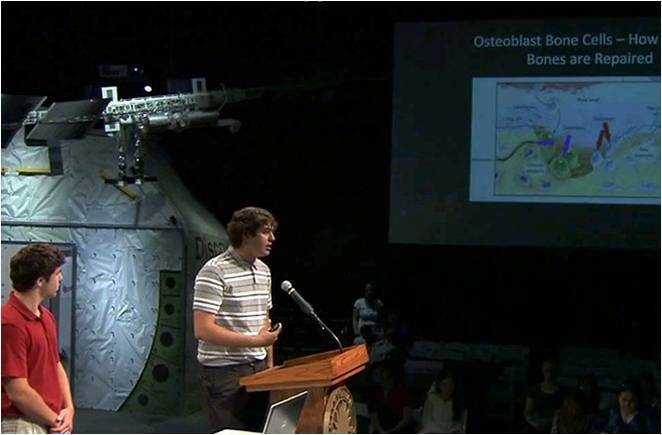 This talk resulted in several volunteers who wanted to work in the lab, because everyone is excited about doing experiments in space. The flight portion of the investigation went well. 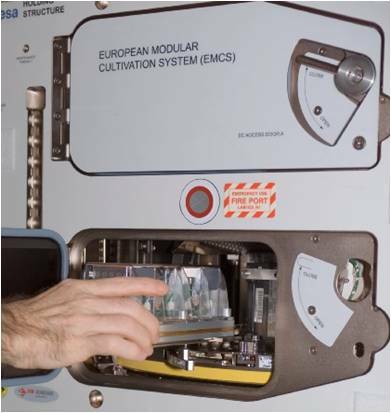 We have images from two experimental runs in the European Modular Cultivation System (EMCS) centrifuge, which the students help us analyze for measurements of plant growth. For the analysis, students measure the root lengths in flight photos to get an idea of the total amount of growth. One of the goals of this study is to look at the impact of microgravity on the Arabdopsis thaliana plant growth by comparing how the roots and shoots orient themselves. Seed samples for the study include a wild type and a transgenic line. Plants from the transgenic line are genetically modified to affect their ability to sense and respond to environmental changes. When examining the images, the first thing we look at is how well the seeds grew. The germination was excellent, and because we have images from different time points—every six hours during five days of operations in orbit—we can compare between the different lines and between the different gravity settings for how the seedlings grew during that period of time. We have many images from both the micro-g and 1g environment samples thanks to the setup of the EMCS. The EMCS has two chambers, which is nice because it includes two centrifuges. This allows you to do your 1g ground control in space at the same time you do the microgravity testing. This means you only have the one variable of microgravity, while all other aspects of the space environment are the same. Usually for microgravity studies you do a ground control vs. a flight experiment; but, it’s not just the gravity that’s different. There are other things that you cannot measure or replicate from that environment, such as radiation, vibration or the presence of other gases. This is a very beneficial control if you want to get at just the difference between microgravity and 1g. In addition, by carrying out a ground reference control on Earth, we can get an idea of some of the other space effects that are not so well defined at this time. We would like to do more advanced analysis to see if there is any difference in the microgravity vs. the 1g plants. We expect less organized growth in space compared to on the ground, however this is not obvious from looking at the images. We may need to analyze the images more closely, and we are looking at options to see whether or not the pattern of growth is different. As of now we’ve just looked at the total amount of growth and there does not appear to be major differences. Flight samples returned to Earth with SpaceX Dragon on March 26, so once we get them we can analyze the genetics of the physical samples to understand their changes at a molecular level—specifically in how the plants sense the microgravity environment and how this influences their growth and development. 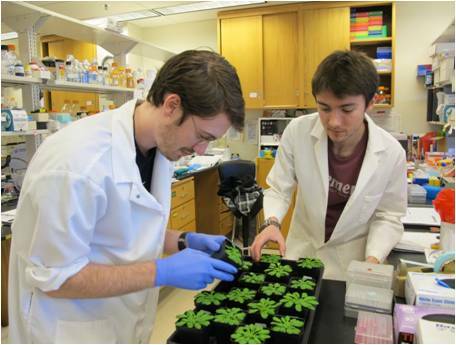 To do that, we will carry out global transcription profiles of the plants, which is like taking a “snapshot” of all the genes that were expressed in the plant. This tells us how the plants are responding, because even though they may look the same, at a molecular level there may be different pathways that are up or down regulated—showing an increase or decrease in cell response—in the transgenic line compared to the wild type. By comparing those two plant types, we hope to understand what signaling pathways are involved in plant responses, not just to microgravity, but also based on the space environment’s other factors. We have data from previous years of ground work where we looked at the response of these transgenic plants, and we know they are a little bit delayed and slow to respond to gravity stimulation. If you place a plant horizontally, after some time the shoots and roots reorient back to vertical. The transgenic plants have a harder time doing that, so we have an idea that this pathway is involved in sensing gravity and responding to it. Just as experiments can produce surprising findings, I often find something unexpected from student participation in my research. Since I’m in a plant biology department, I usually get students that come to work with me with a strong biology background. But this study generated a lot of interest from students within bioengineering programs, so we had some interns who actually didn’t have that much of a biology emphasis, which turned out to be a learning experience both ways. One student, Benjamin Cowen, was from the physical sciences, and he did some ground-based work using some of the prototype hardware that we use for the flight experiment. It was quite an inspiration for him, and now he’s looking to enter an astrobiology graduate program. It’s useful to have the different backgrounds, because people do not have the same preconceived ideas that we may have developed in biology studies. I’ve had positive feedback from participating students, including some who have returned to continue working on the study. I had one local high school student, Kalyani Joshi, who came to talk to me before the investigation went up on the flight to the space station. Kalyani was excited about the study and came to volunteer and work in the lab. When she graduated from high school, she applied and was admitted to North Carolina State University. Now she’s a freshman and received some undergraduate research funding, so she’s going to continue to work in the lab. 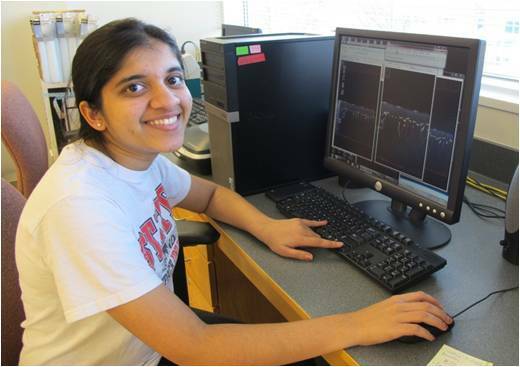 Kalyani’s been doing a lot of the measurements of the space images and really enjoys the project. When we were preparing for the experiment, I had another student, Caroline Smith, who worked as my research associate. She is in graduate school now, but plans to come back to help analyze the flight samples. She’s really interested in the findings, as she was instrumental in setting up the experiment. I’m highly committed to including students in the lab setting, having worked with half a dozen for this research project. I anticipate continuing to foster that collaboration. It will be fascinating to see not only what we learn when the Plant Signaling samples come in for analysis, but also to see what comes next for the students inspired by this study. 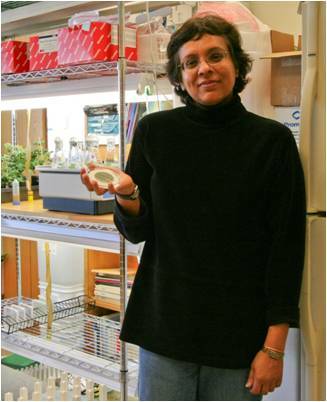 Imara Perera, Ph.D., is a research associate professor in the Department of Plant Biology at North Carolina State University. Her primary research interests are in understanding the role of lipid-mediated signaling in plant responses to environmental signals and stress, with the long term goal of improving plant growth under unfavorable conditions. She has been involved in plant gravitational biology research since her postdoctoral work, and she has been a principal investigator on NASA-funded ground-based research since 2001. 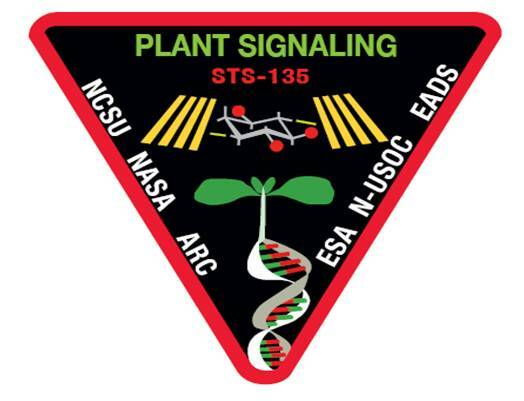 Currently, Perera is the principal investigator on a spaceflight project entitled “Plant Signaling in Microgravity” to characterize the molecular mechanisms of plant responses to microgravity that was conducted aboard the International Space Station in 2011.